Just because you have a small kitchen it doesn’t mean you can’t have the remodel you’ve always wanted! 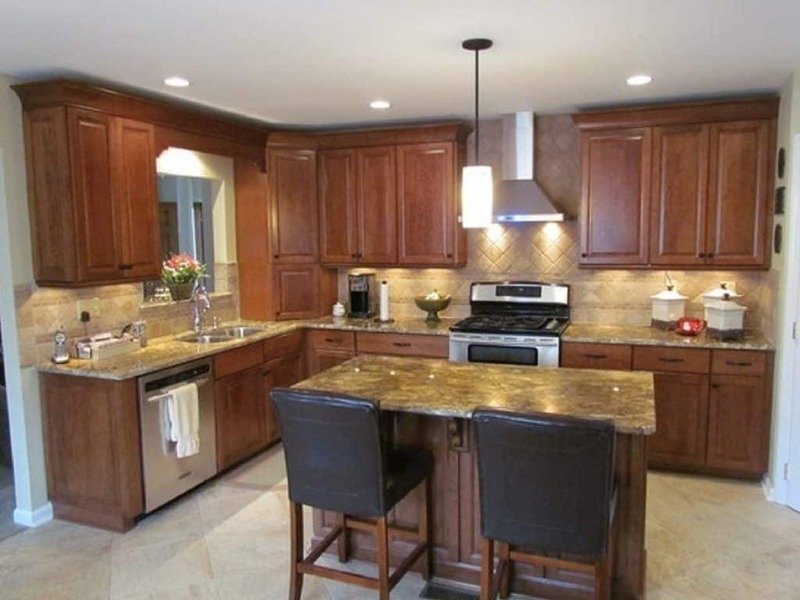 It simply means rethinking some preconceived ideas about what a kitchen remodel “should” be. 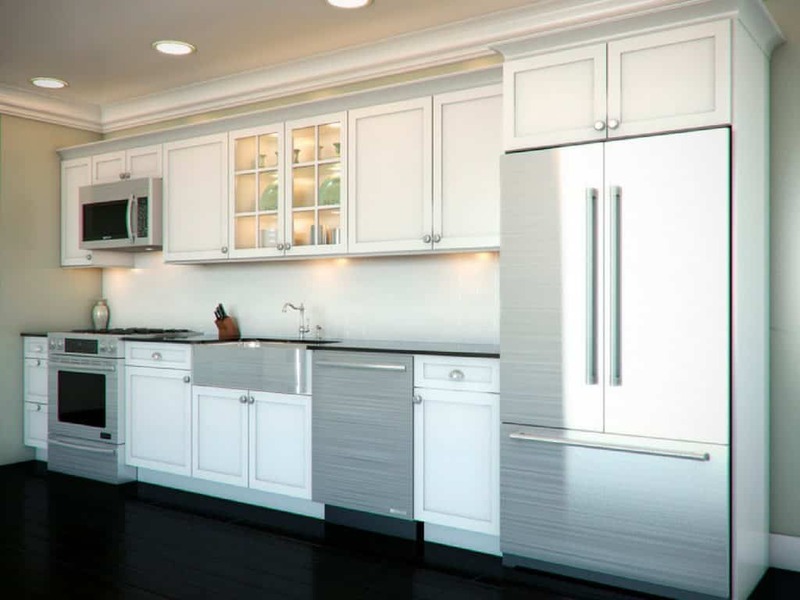 Traditional kitchen layouts are based around the work triangle, with hypothetical lines that span the sink, range, and refrigerator. A small kitchen layout, though, means accomplishing the same efficiency of the triangle while adapting it to available floor space. Single wall. 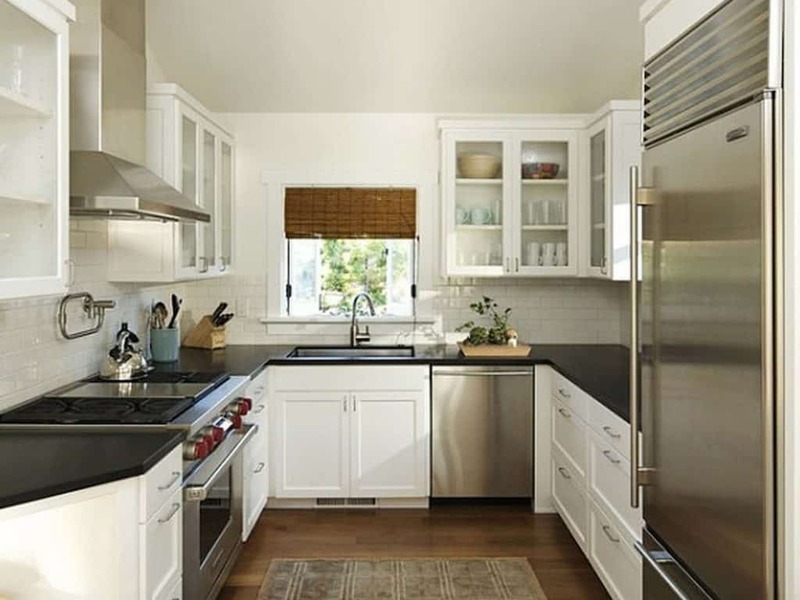 A good space-saving idea is to center the sink on the wall and then flank it with the cooktop/range and refrigerator. If space allows, leave about four feet of countertop on each side of the sink. This gives you plenty of room for slicing, dicing, and cleanup. Use ceiling-height shelving, cabinetry, or a combination of both on the entire wall to maximize storage. Two-wall galley. Best when the three work areas are split between the two walls, this efficient plan allows you to comfortably move between areas. To avoid foot traffic problems, leave at least 4 feet of space between the counters. 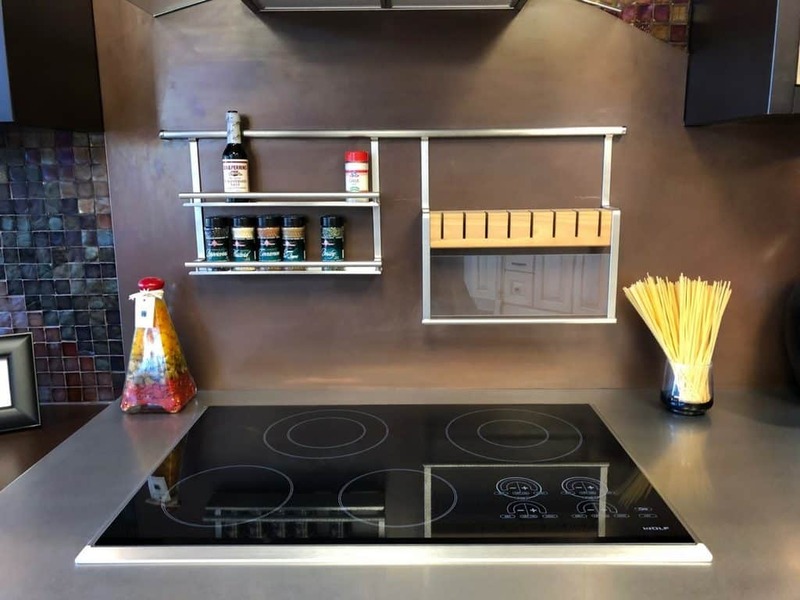 If possible, put the cooktop on a wall that’s separate from the sink and refrigerator, or the sink and cooktop separate from the refrigerator. If your galley kitchen has windows on one side, consider a mirrored backsplash to create the illusion of more space. U-Shaped. Most efficient when there’s one work area on each of the walls, this layout lets you easily pivot from station to station. If there’s a second person helping, they can share one portion of the triangle. L-Shaped. This layout has workstations on two neighboring walls. While most small kitchens don’t easily accommodate one, there are some creative ways to incorporate a small island, which can give you more valuable prep and dining area. There are a lot of pluses to small kitchens: they make prep work quicker, are usually extremely ergonomic, and they save you time and money. Here are some ideas to keep in mind as you plan and design your remodel. They’ll help you maximize space, improve functionality, and generally make your small kitchen a more efficient, happier space. From color palette to fixtures, keep it light. Lighter colors and well-placed lighting make a room feel larger. If you’re a single homeowner or empty nesters, consider shrinking the sink. It will free up more counterspace for food prep and entertaining. But don’t rule out large sinks just because your kitchen is small. 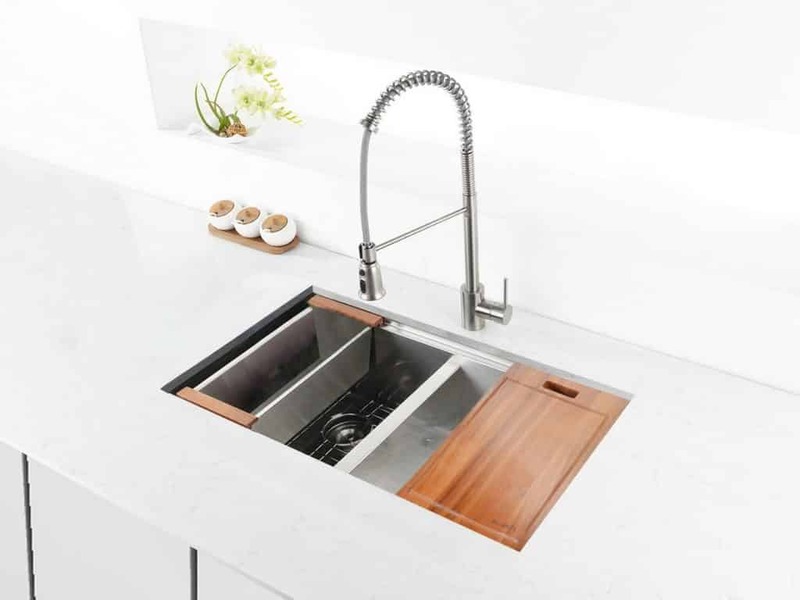 For example, large sinks like this Ruvati Workstation one make cleaning pots and pans much easier and, depending on your needs, easily convert to additional prep space. In the end, what matters most is making a decision based on your lifestyle. Take advantage of today’s clever kitchen storage solutions. Sufficient storage can be a challenge in smaller kitchens, especially when it takes away from valuable work areas. Fortunately, kitchen cabinet makers are creating all sorts of smart designs. From 3” filler cabinets with sliders to well-organized pantry cabinets, you’ll have plenty of places to store baking pans, spices, cooking utensils, and other small items. 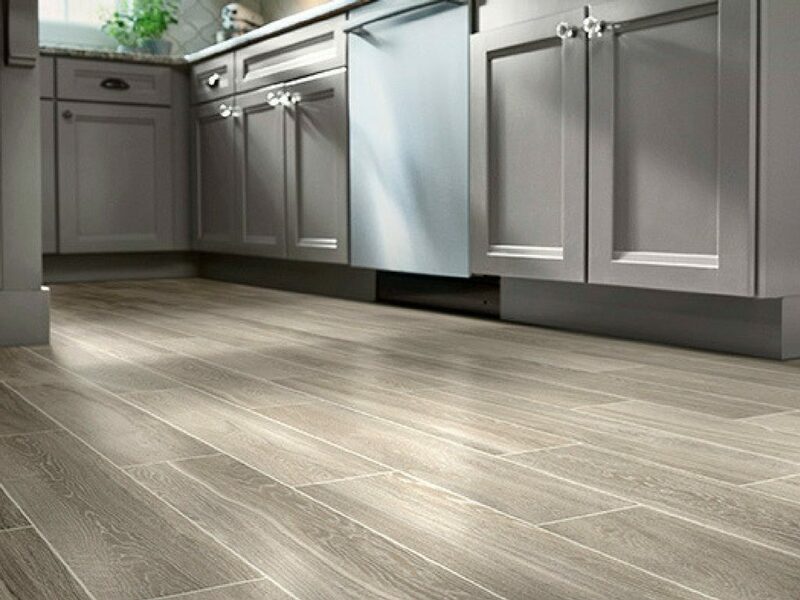 It may sound counterintuitive, but larger floor tiles (except in galley kitchens) actually make a small room appear bigger. One of the reasons is that there’s less grout used and fewer lines give the illusion of spaciousness. Another simple but striking idea: vinyl, wood, or rectangular plank tiles that run the direction of the light source, also makes the space feel bigger. Consider widening the doorways to other rooms, making the kitchen an extension of the dining or family room, or even the outside deck or patio. Don’t forget small details like built-in cutting boards, magnetic knife and utensil holders, a stepstool hidden behind the toe kick panel, drop-down wall-mounted tables that can double as prep areas, drawer organizers, and toe-kick drawers. Designing for a small kitchen can be much more challenging than designing for a larger one. Our experience, along with our frameless cabinetry and storage accessories, can help you get the most out of your small space. There are many exciting options for you to choose from. Of course, if you still think you need more space, you might want to consider reconfiguring the layout or removing a wall. Our designer, Caitlyn, can help you determine the best course for your own remodel. She’ll even create 3D renderings that show you possibilities you may have never thought of. 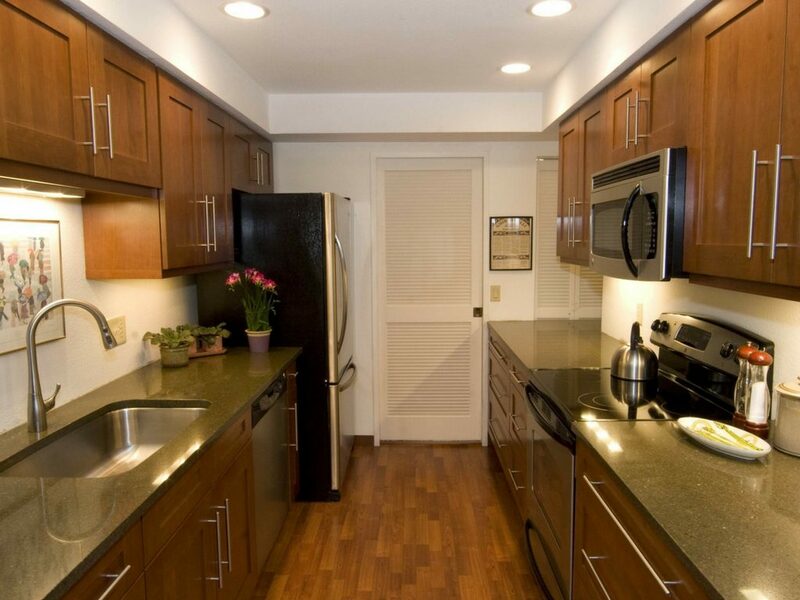 If you’re ready to transform your dated and cramped small kitchen into a modern and efficient space, drop us a line today or give us a call at 850-354-8090. We look forward to showing you how fun and rewarding a small kitchen remodel can be!